Let’s rewrite History together! Your adventure starts here! Ancient Egypt – from Cairo to Aswan, in the heart of a lost dynasty ! After going through customs you will be welcomed by our local coordinator who will drive you to Gizeh, 20 meters away from the Sphinx side entrance. Day 2 – Full day on the Giza plateau: the 9 pyramids, the Sphinx and Valley Temple. Every detail will be inspected while we will see the back and forth of tourist groups that are staying only 90 minutes on site. All recesses of the Giza plateau will be inspected with your guide. Besides the magnificence of the pyramids, we will see how Dynastic Egypt and Peru had common origins, architectural but also civilizational. 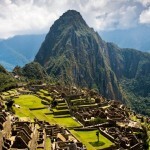 Also, you will dive into the heart of the first usage of ancient high technologies. King Snefru, meaning « double harmony», is the one supposed to have built the Red and Bent Pyramids. Djoser, on the other side and believed to have built the Step Pyramid of Saqqara. Still swimming in the ocean of proof that Ancient Egypt once possessed forms of technology, we will go underground to see the Serapeum and its granite blocks. Academic Egyptology claims that those hollowed blocks were destined to welcome dead bulls, paying tribute to the God Apis. But this is totally false and we will see why different civilizations came on the site. 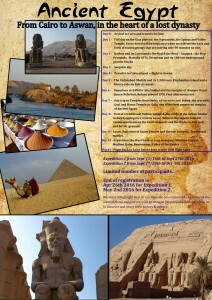 Full day in the heart of ancient high technologies used in Ancient Egypt, as well as pre-dynastic Egypt. Countless proofs scattered all over the city of Aswan! Day 7 – Departure at 4AM for Abu Simbel and the temples of Ramses II and Queen Nefertari. Return around 1PM. Free afternoon/rest. One of the most majestic sites of Ancient Egypt. Day 8 – Day trip to Temples Kom Ombo of Haroëris and Sobek the crocodile God, and Horus Temple in Edfu, one of the best preserved temples of Ancient Egypt. Day 9 – Visit of a traditional Nubian village & discovery of the Aswan bazaar before hopping on a train to Luxor. Witness the superb colorful landscapes between the Eastern desert and the Western Nile lush and fertile grounds. Day 10 – Luxor. Full visits of Luxor Temple and Karnak Complex. Traditional market. We will let ourselves flow alongside an alley of ram-headed Sphinxes to spend a whole half-day in the Karnak Temple. In this immensity we will see the Chapel of Sekhmet, as well as the Temples of Amun, Neter & Khonsu. We will then head for the Luxor Temple going through the hectic traffic of the city. This is where Ancient Egypt gives away a few secrets through the remains in the streets of Luxor that almost no one adds to their visits. 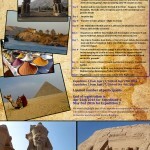 We will start with the Memnon Colossi and Medina Habu before going to the Valley of the Nobles to admire hieroglyphs. Then we will visit the Ramasseum, mortuary temple of Ramses II where we will discover the remains of what once was probably the biggest statue ever erected by men. We want to highlight that all our trips are eco-responsible by virtue of the unconditional support we wish to bring to local populations that allow us to discover and share their history & culture.